Sputnik discussed prospects of any agreement between Washington and Beijing to end the trade dispute with Loren Puette, director of market research at ChinaAg. Chinese and US negotiators are elaborating on a roadmap to end the trade dispute between the two nations ahead of the meeting of their leaders, according to a Wall Street Journal report. US President Donald Trump and his Chinese counterpart, Xi Jinping, are expected to meet in November at the G20 summit in Argentina. 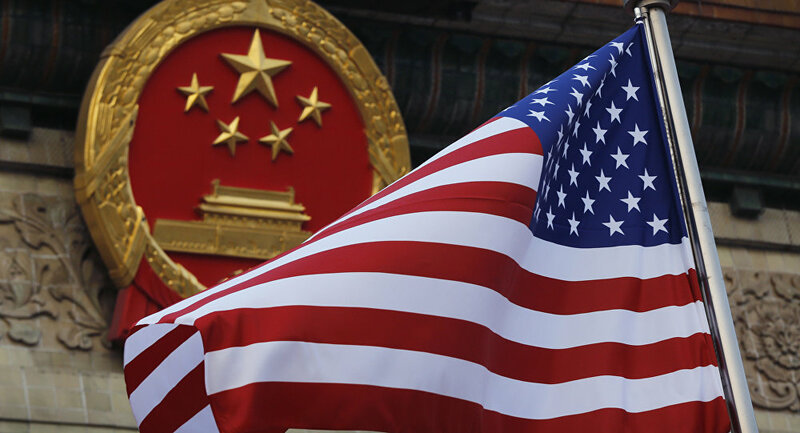 At the end of this month China and the United States will hold lower-level trade talks China’s Commerce Ministry revealed last week. Vice Minister of Commerce Wang Shouwen will meet US Treasury Under Secretary for International Affairs David Malpass. Sputnik: How high are hopes of any agreement between Washington and Beijing to end the trade dispute? Loren Puette: I suspect that there won’t be any concrete resolution at the end of the meeting between the US and China, but what will happen is groundwork will be laid for that November 30th G20 meeting that will be taking place in Buenos Aires, Argentina. So this, I suspect, will be a feeling out session, to see where there is some room to negotiate between the two sides. Sputnik: What provisions could any potential plan contain to put an end to the trade controversy? 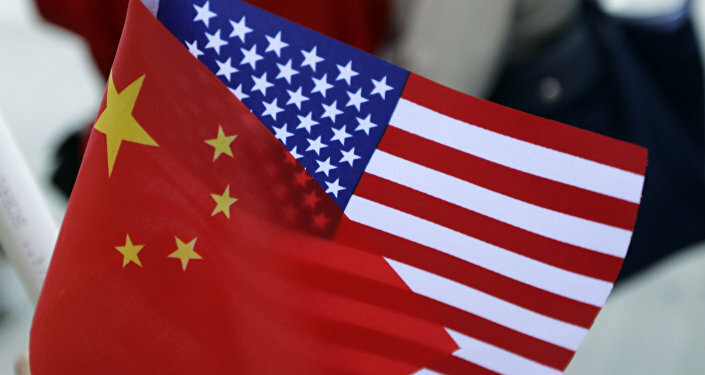 Loren Puette: One of the main sticking points from previous meetings was this past May 19th agreement that China would significantly increase its purchases of US goods and services in order to reduce its trade imbalance, its trade deficit between the two countries. That really hasn’t materialized as much, so I think the US would like to see increased purchases on their side and then the Chinese side would like to see an easing of tariffs, obviously, on the US side. Which should be noted, the original agreement for China to increase its purchases from the US was basically brought about when Vice Premier Liu He visited Washington DC, and he was a little bit more of a closer advisor to Xi Jinping, while as Wang Shouwen, is not as high-level as Liu He, so that's why I suspect this will be more laying the groundwork as opposed to anything concrete coming out of this meeting. Sputnik: Increased tensions between Washington and Beijing have already impacted the global market, what consequences could further disputes have on the global economy? Loren Puette: Obviously it’s not good for the world economy on the whole. My professional background is in agricultural markets, so my focus has been on that, in particular, looking at the soybean markets, in which China is the biggest buyer on the international market and the US, together with Brazil, are the largest suppliers. Essentially what could happen is that the US is a major supplier of China during the months of October and November, so leading up to the G20 summit, and if the trade dispute drags on through those months, then China will have somewhat of a supply problem, particularly in its agricultural market. So essentially they need soybeans to feed their meat and fish industries, and it’s processed into animal feed. If they’re not able to secure cheap soybeans from the US, that would mean that prices for meat and fish in China will go up, and pork in particular is a major product in China, it’s used to calculate their CPI, their consumer price index. What would happen if they go up? Pork prices would go up, the CPI would go up, the inflation rate could pick up a little bit, and what you could see is the Chinese currency reach 7 renminbi (RMB) to one US dollar, which has not been seen since 2008. It would essentially make exports from China a little bit cheaper because, basically, the US and other countries could buy those goods cheaper, whereas goods going into China would be much more expensive. So it could have many unseen effects on the global economy, just looking at soybeans alone, let alone all the other products that have seen increased tariffs. Sputnik: And if we talk about US consumers, if the United States continues to impose measures on China, will they lose from this trade scrimmage? Loren Puette: If you look at the trade balance, there’s much more to lose on the Chinese side than on the US side because, basically, China exports a lot more to us than we export to them, so if trade shuts down, it would do so disproportionately, on the surface anyway, hurt Chinese consumers more than it would hurt US consumers. It could hurt particular sectors of the US economy, particularly, the rural economy and Midwest, since all the soybeans go to China. You could also see other products manufactured cheaply in China that are sold in Amazon and Walmart, so goods could become a little bit more expensive in the US, but we’re still a bit away from that taking full affect.